Microsoft has officially launched Office 365 apps on Apple’s Mac app store allowing Mac users to directly download Word, PowerPoint, Outlook and Excel. Though the Office 365 app bundle supported both Windows and Mac PCs through Microsoft’s official website, this is the first time the apps can be availed directly from the Mac App Store. 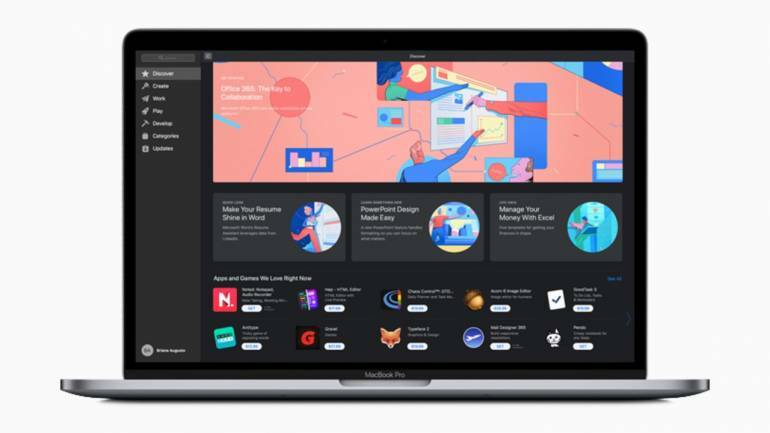 Microsoft has customised Office 365 to support unique features on the Mac like Dark Mode, Pro Touch Bar, Mac trackpad and Continuity Camera in macOS. Additionally, Mac users can now purchase or update Office 365 from the store itself. Microsoft is also offering a student version (Office Home & Student 2019) of Office 365 with MS Word, Excel and PowerPoint which will be available for Rs 7,799 as a one-time purchase. Office 365 Home and Personal also offer 1TB of OneDrive Cloud storage and 60 minutes of Skype calls per month.